With travel comes culture, and with culture comes language. I have been fortunate enough to have traveled to three different continents in the world, and plan to visit all seven continents some day. China is my next destination. Once I get there, I may want to talk about my travels to other people in Chinese! To do that, I will need to know how to express where I've been, where I am from, and where I want to go. So I was very happy that this week's lesson had to do with world geography and cardinal directions on a compass rose. Related: What To Pack Before Traveling to China? The world map is used to help people understand their location in relation to the rest of the world, and the compass is a guiding tool that comes with that. However, I was surprised to learn some of the cultural differences that came with learning the new terms. For example, in English we list directs as, "North, south, east, west." That sounds right. 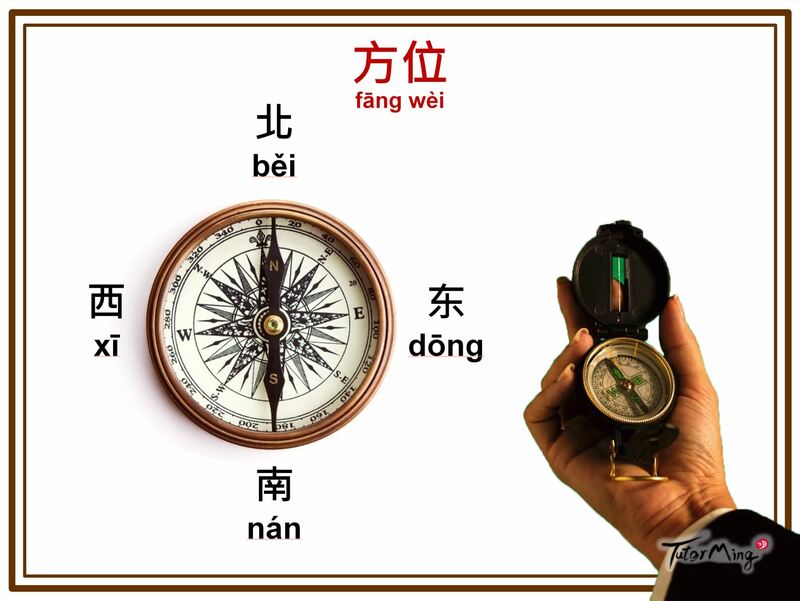 But in Chinese, you always list directions in a clockwise manner: "东(Dōng), 南 (Nán), 西 (Xī), 北 (Běi)." East, South, West, North. My Chinese teacher told me that this helps you remember how each direction falls on a compass. Another interesting thing I learned was that in Chinese, "东 East" and "西 West" always come first when describing intermediate directions. In English, it's the reverse. So if I were to say "southeast," in Chinese, it would be "东南 (dōng nán)" or literally, "east-south." This map was surprising to me. I learned that there are different cultural perspectives of world. Apparently, the context of a continent could be debatable? Oceania is a continent? Central America is part of South America? I once had a similar discussion with my European friends when I was in college. Who knew the same would be taught to Asian cultures! The reason has to do with cultural and historical identity to which the continents are grouped by. Linguistically speaking, I can see why Mexico could be considered part of South America, but it's still odd to me. For example, "非洲在欧洲的南方 (Fēizhōu zài ōuzhōu de nánfāng)." This means "Africa is to the south of Europe." My teacher told me that this sentence structure can be applied to other things, not just maps. 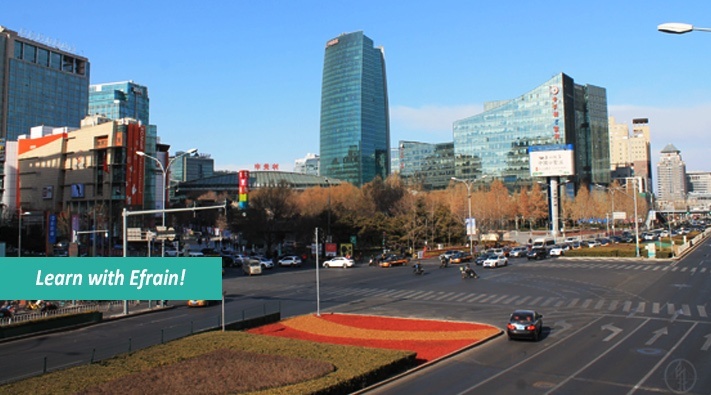 If I needed directions to the bank, for example, someone might say, "银行在商店的旁边 (Yínháng zài shāngdiàn de pángbiān)." This means, "the bank is next to the shop." This helped me realize how important it is to practice this grammar structure, as it could help keep me from getting lost in China! 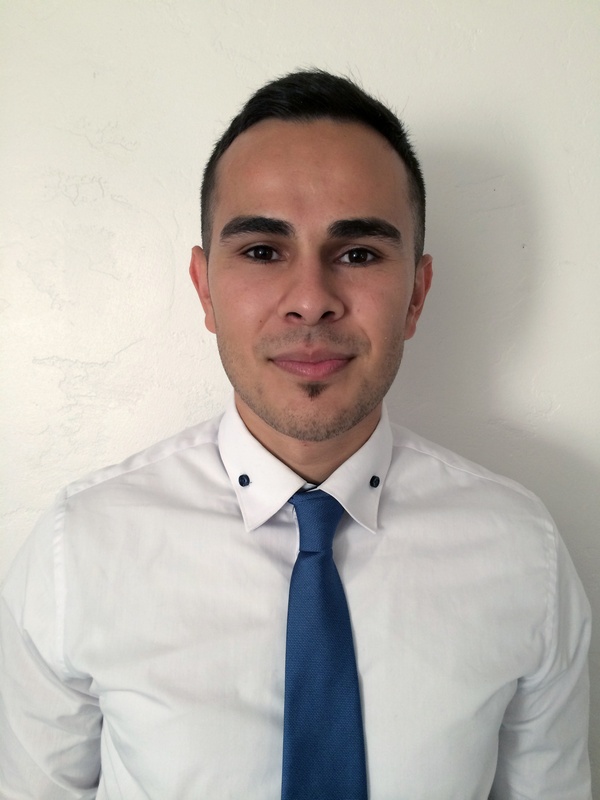 Even with some of the confusion, there were a few tips in the lesson that I really enjoyed. My consultant Nancy was really knowledgeable and taught me additional words like 迷路 (Mí Lù). It means to "get lost," which is something I often do without the help of my GPS. When it came to learning the continents, it was easy. 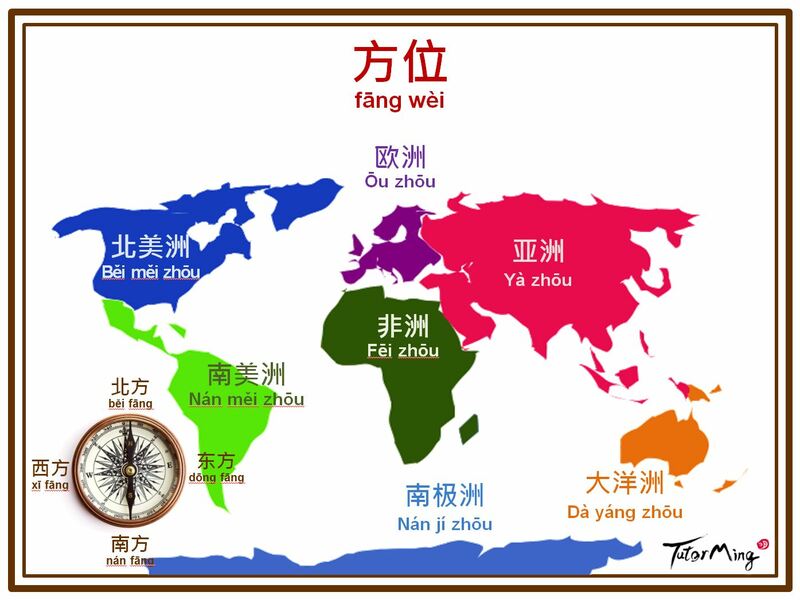 They all end in "洲 (Zhōu)", and three of them are directional (The Americas and Antarctica). Being from the North America, I love that the literal translation of北美洲 (Běi Měi Zhōu), meaning "north beautiful continent." These are all things my GPS wouldn’t have been able to teach me. Thanks for reading my column! Tune in next week to see what I learn next.